The involvement in the city of Sderot and its impact has been nothing short of a revolution. “The resilience of a town like Sderot – economically marginalized and targeted periodically by rocket fire from Gaza – relies on the development of strong local leadership,” explains Eddy Azran, UJA Toronto’s representative in Sderot. Accordingly, UJA Federation – represented by the Israel office of JFC-UIA -- provides tuition assistance to students from Sderot, enabling them to pursue either a bachelor’s or a master’s degree. Having grown up locally, they are likely to remain in the town after graduating. 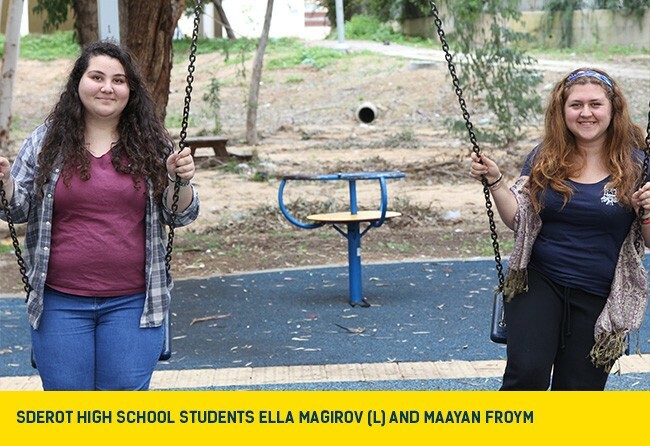 This assistance recently received a major boost, when UJA Federation’s initial allocation of $180,000 inspired several Israeli philanthropies -- including Mifal Hapayis, Israel’s national lottery -- to join forces with UJA Federation to create one multi-year scholarship fund for Sderot students. The combined funds total approximately $625,000, and will ensure long-term sustainability and continuity. This year, no less than 250 students will each receive the sum of $2,500, which is almost the entire annual cost of tuition at an Israeli university. In Israel, young adults begin college after their army service, in their early or mid-twenties. Some students are already married. Assistance with tuition enables students to concentrate on their studies without the distraction and stress of financial worries. Every recipient is a member of one of several NGOs which encourage social activism and facilitate community involvement among students. Through that framework, each student volunteers in Sderot for at least five hours a week, working with schoolchildren, the elderly or other vulnerable populations, organizing community events and galvanizing social action. “The scholarship fund boosts not just the students, but the community as a whole,” says Alon Davidi, the mayor of Sderot, who was instrumental in consolidating the fund.